Searching for some funny inspirational mother daughter quotes and sayings. If yes, now you don't need to search for them anymore. As here I have compiled down some of the funny inspirational mother daughter relationship quotes and sayings. 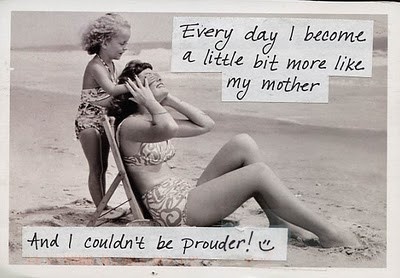 Just hope you like the quote compilation and able to find words to define your mother-daughter relationship. You can't know how much a mother loves. ...you are my rainbow to keep. My eyes will always be watching you; never will I lose sight of you. The best place to cry is mother's arms. I got almost eighteen years with you. The best eighteen years of my life. For we think back through our mothers if we are women. The mother daughter relationship is the most complex. A busy mother makes slothful daughter. We mothers are learning to mark our mothering success by our daughters lengthening flight. The important thing for you as a mom is to be there for your daughter, and let her know the door is alway open if she wants to talk, now or in the future.